Heath (Erica spp. ): growing, planting, caring. A good candidate for flowers in the winter! Scientific name : Erica spp. Erica is a genus of more than 800 species of flowering plants in the family Ericaceae, mostly native to South Africa. 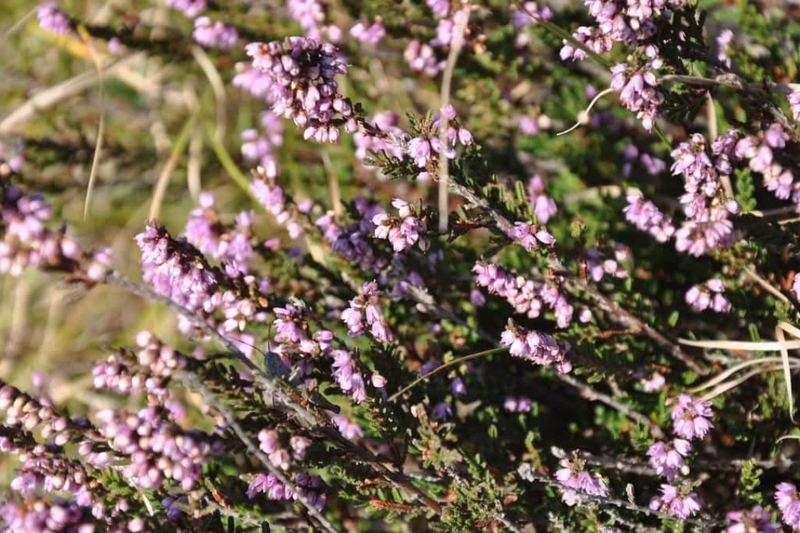 The common names "heath" and "heather" are shared by some closely related genera of similar appearance. Calluna was formerly included in Erica – and differs in having even smaller scale-leaves (while Erica leaves are needle-shaped) and a flower corolla consisting of separate petals. Erica is sometimes referred to as ‘winter (or spring) heather’ to distinguish it from Calluna ‘summer (or autumn) heather’. Most of the species of Erica are small shrubs from 20–150 cm (8–59 in) high with small needle-like leaves, and flowers in umbels. This is a description for heathers in the genus Erica, not to be confused with Calluna - some people sometimes confuse these plants that have quite different flowers! Heather is a creeping, evergreen plant, with small needle-shaped leaves, whorled by 3 or 4. A green calyx surrounds the corolla of the flower, and the stamens are free. Plant your heather in the fall or spring, at a rather sunny exposure, in poor soil, acid or neutral, well draining. In pot, add a bit of heathsoil, and no fertilizer. You can plant your heather in places with shallow soil because they are very frugal in watering and organic matter. At the plantation, unravel the roots, and soak the mound for a few minutes. In heavy soil, add heathsoil or sand at the bottom of the hole. Plant without burying the collar, and water. Watch for new plantings in the first few weeks, and in the summer, sprinkle your potted heather once a week. Afterward, the heather should fend for themselves! To limit the weeding, mulch between your heather with a non-calcareous mineral mulch, or with pine bark. In rich soil, your heathers can take a winding and overly stretched habit. In this case, at the end of spring, shorten them slightly to densify them. It is also possible to prune them after flowering to remove the dried flower stalks.